Athabasca University press 2016/$34.95/343 pp. Fake news. Filter bubbles. The influence of social media on the US election. Online harassment of female politicians in Alberta. These are just a few of the digital media issues competing for headlines these days. We live in vertiginous times. 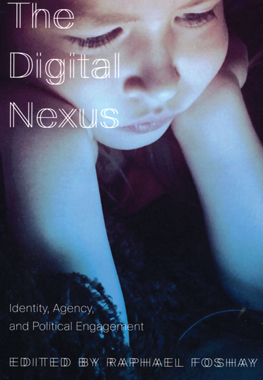 But fortunately books such as The Digital Nexus help provide clarity. The premise guiding this book of essays, edited by Raphael Foshay of Athabasca University, is that networked communication and connectivity (computers and the web) are reshaping every aspect of our lives—changing how we see ourselves, how we interact and how we conduct our affairs. The Digital Nexus belongs to a new wave of scholarship inquiring into the many challenges and disruptions that networked communication imposes on public and private affairs. It looks at tech-driven transformation through the triple lenses of identity, agency (our ability to participate in society and take action) and political engagement—with a special focus on democratic processes and social action. Seventeen articles from multiple authors take on issues from how social media empowers and disrupts political participation and knowledge diffusion, to cybersecurity and the rise of the national surveillance state, to how the digitization of learning is eroding the quality of education at Canadian universities. Among the highlights here is the work of Andrew Feenberg, who explains why the web can be either a tool for community or a vehicle for private business and government surveillance, depending on who controls its code. Essays from David J. Gunkel (should robots be held responsible for their actions?) and Roman Onufrijchuk (will we soon haunt the Internet as digital doppelgängers after we die?) lend welcome hints of Asimov and Black Mirror to an otherwise sober collection. Historians of media will probably look back on the 2016 US presidential race (a.k.a. the “fake news and Twitter election”) as the moment when we finally woke up to a simple truth: the design of the Internet matters, because it touches and transforms every corner of our public and private lives. If we want technology that supports democracy, open dialogue and humanist values, then we will need to shape it accordingly. But there are other agendas at work and the struggle to determine the Internet’s future has only just begun. For this reason, we’ve never needed books like The Digital Nexus more. That said, this collection is dense with academic jargon and will mostly appeal to professional scholars. But for those invested in the discourse, there is valuable insight here for understanding media and society in the Internet age. —Angus Leech is a digital storyteller, designer and writer in Calgary.